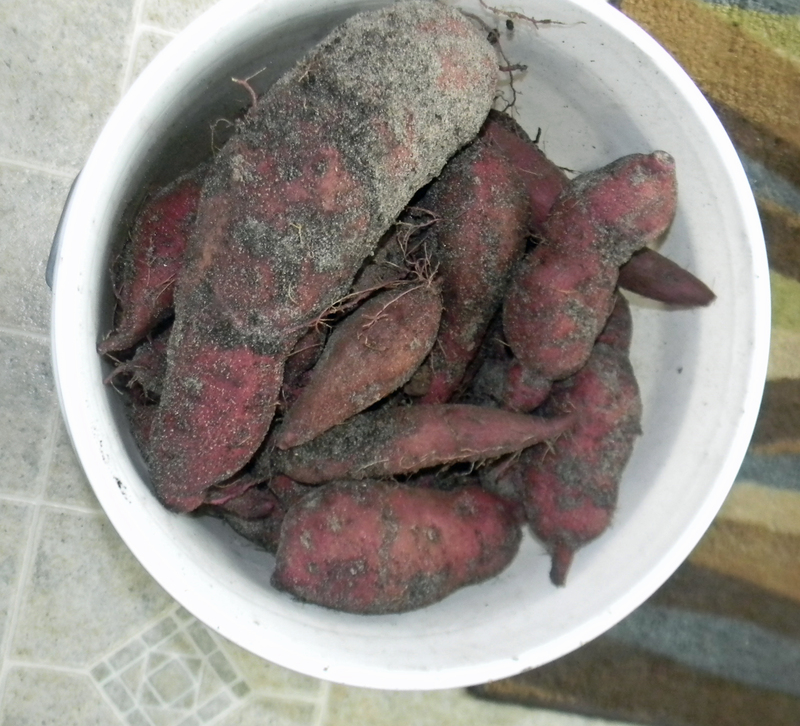 I dug up several sweet potatoes the past couple of days and found the monster above. Today I decided to dig up the rest of my 4′ x 4′ plot and ended up with just under 24lbs. I am going to try and can as much as I can. I have never canned sweet potatoes before but it looks pretty easy. The hardest decision will be what type of simple sugar I will put in the jars. I would really like input from others that have canned sweet potatoes. Did you know you have to harden sweet potatoes? This has to be done in warm 70-80 degrees and high humidity. 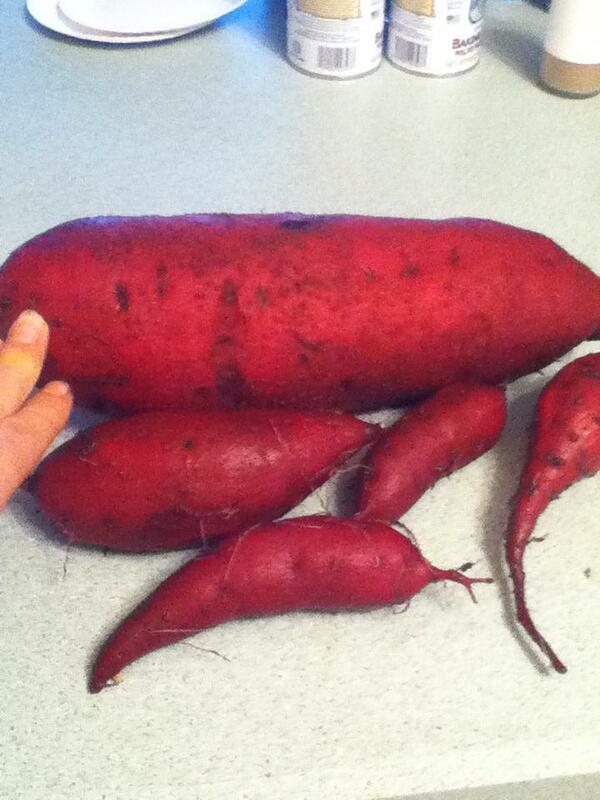 This changes the starch in the potato into the yummy sugar that we all like about sweet potatoes. 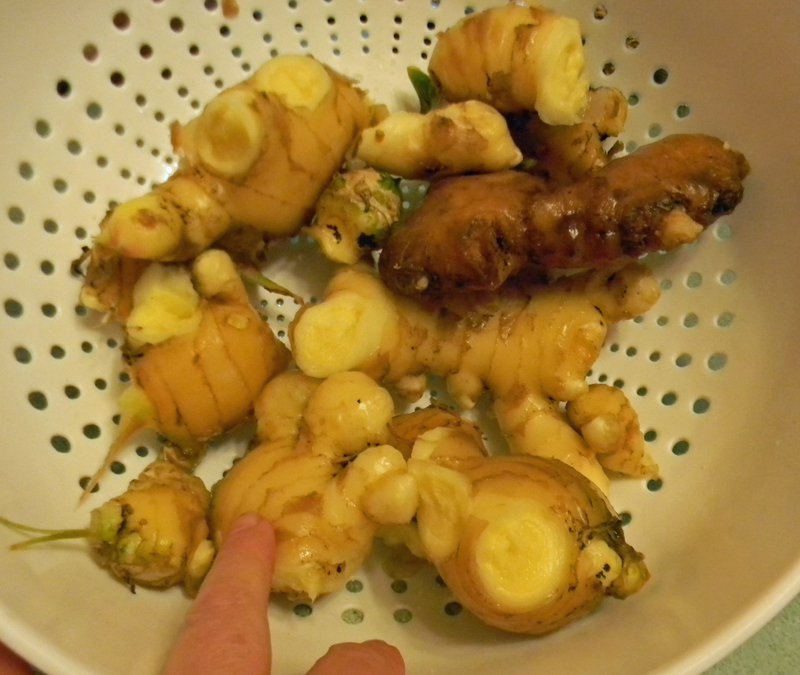 After digging up my potatoes I decided to dig up some of the ginger I had planted in one of my small self watering containers. Ahhh the smell of ginger and I really like juicing it. I will put all these into the freezer and will pull out pieces when I need them. I never knew you could store ginger in the freezer! It goes bad fast here in Florida. 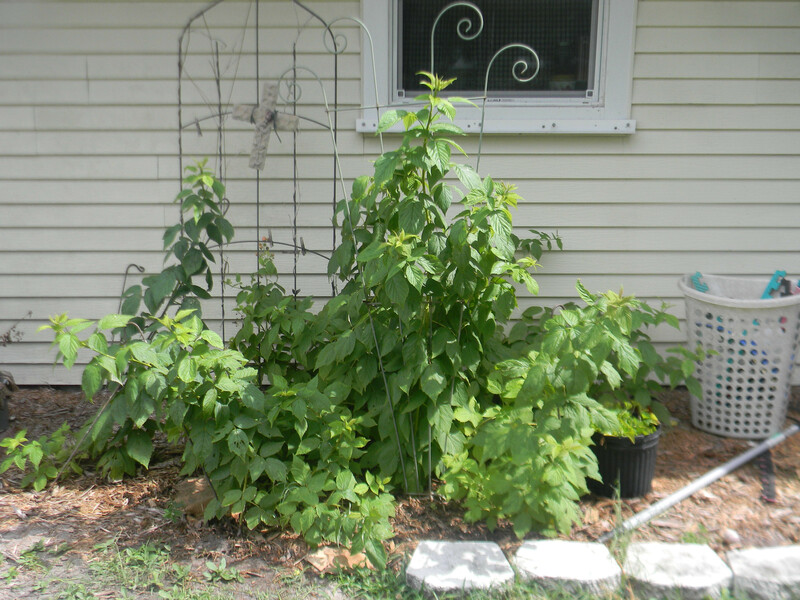 This entry was posted in Gardening, Posts and tagged ginger, Purple Sweet Potatoes. Bookmark the permalink.